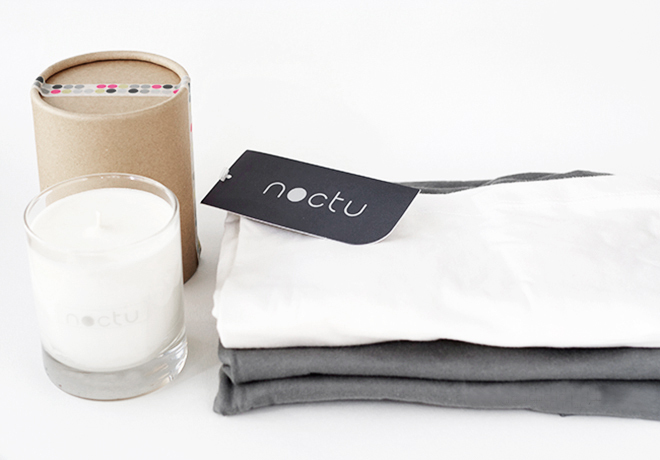 noctu: Organic Cotton Nightwear + Giveaway! 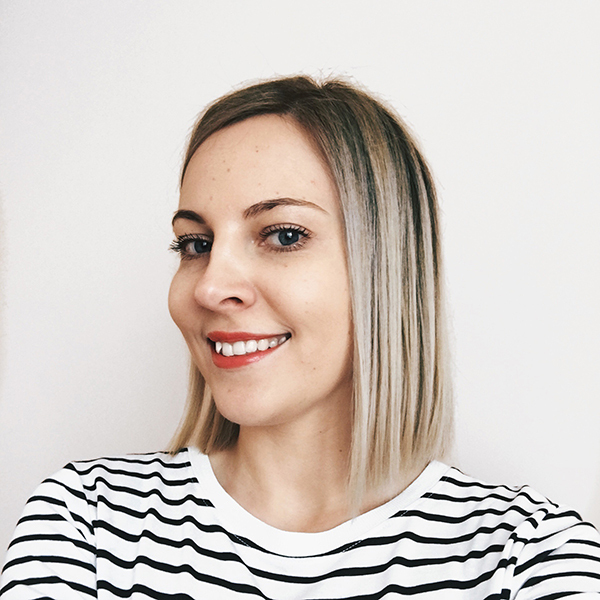 One of the best parts of being a blogger is finding out about new green companies and getting to know them. Today’s post is about noctu, a family-run business with a line of beautiful nightwear and loungewear for men, women, and babies. Besides chic design, there are other great things about the brand: all of their products are made of 100% organic cotton, certified to the Global Organic Textile Standard (GOTS). 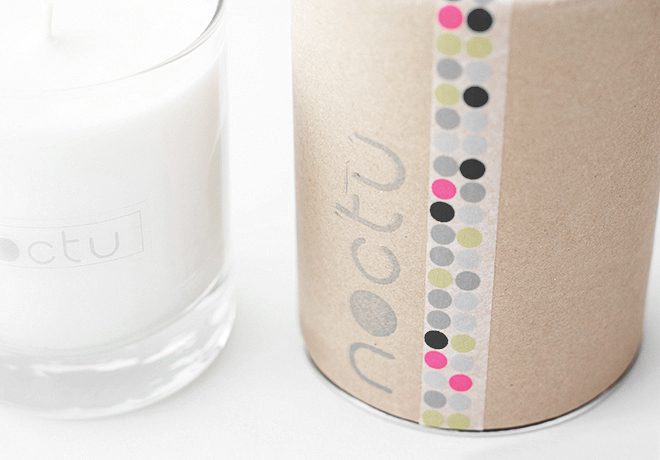 Noctu also has a selection of hand poured natural soy wax candles. 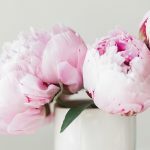 Soy wax candles are much safer and healthier than paraffin candles because they tend to produce less soot, so by choosing soy (or vegetable wax) candles, you protect the environment as well as yourself. I like the design of these candles – they would make a lovely gift! I keep the Orange & Ginger Soy Wax Candle* on my work table. It has that sweet & sour scent, which, to be honest, reminds me a bit of Christmas. Its burn time is approx twenty hours. Good news! I teamed up with noctu for an international giveaway! 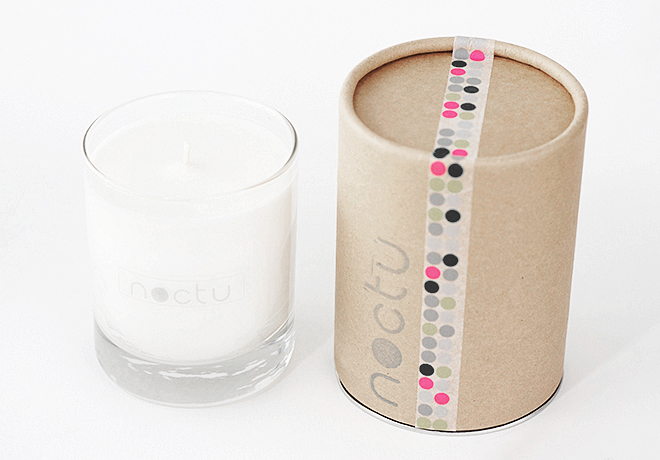 One lucky reader will receive one amazing brand new noctu 100% Certified Organic Night Set (retail price $73/£43! ), pictured below. The set is in size M; however, the fit is relaxed/loose so they would fit sizes S-L.
1. 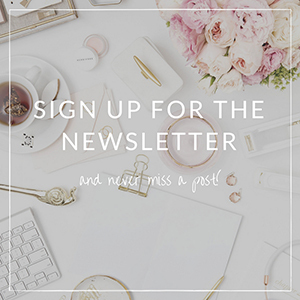 The giveaway is open internationally! 6. The winner will be picked randomly and announced shortly after. Thank you for entering, Anusha!